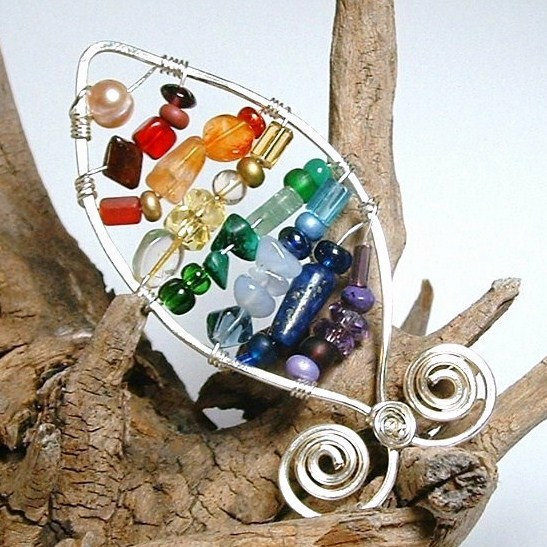 Rainbow is my favorite color and I love making these Celtic pendants! Not just any fish, the Salmon of Wisdom (also known as Salmon of Knowledge- 'bradÃ¡n feasa') was spoken of in many Celtic Legends. In the Fenian Cycle of Irish Mythology,it was said that the Salmon had eaten 9 hazelnuts from the tree of life, and the one who caught and ate it would receive all the wisdom of the ages...It is also included in ancient Welsh legends of King Arthur. 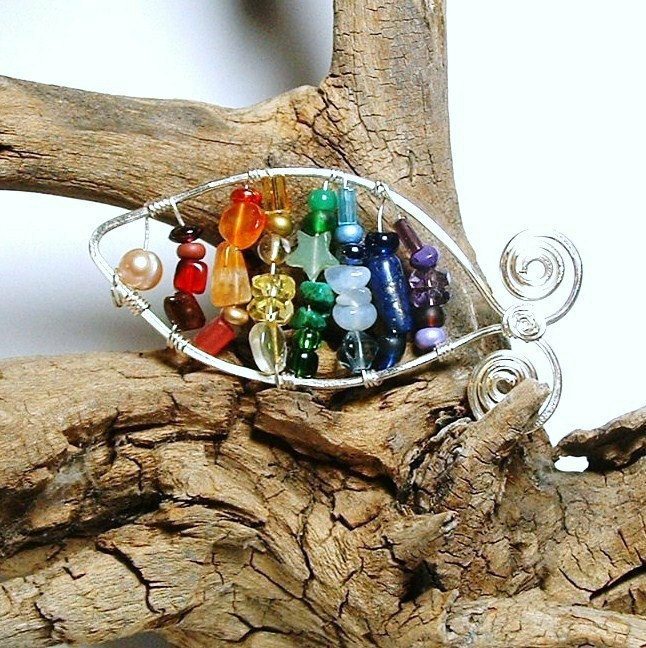 This piece includes genuine Gemstone beads in all the chakra colours: Amethyst, Lapis Lazuli, Chalcedony, Malachite, Citrine, Carnelian & Garnet. PLEASE NOTE: I make each of these to order, so yours will vary ever so slightly from the photo, but will include all of the above gems. I make these approximately 3 inches long, 1.5 inches wide- a big bold, pendant- or it can be used as a suncatcher in a small space.